When you receive a decision from the workers’ compensation judge in your benefits case that is unfavorable, it is important to know how to proceed. The law may provide you with certain avenues to continue your efforts to obtain benefits, including appealing the decision made by the workers’ compensation judge. Prompt action is necessary if you decide to appeal, however. The statute of limitations only allows you a limited time period in which to file your appeal. If you file after the deadline, you may lose regardless of the strength of your arguments. A skilled Pennsylvania workers’ compensation attorney can handle your case and ensure that all of your filings are submitted in a timely fashion. An example of just how serious even small degrees of tardiness can be is the recent case of V.S. V.S. worked in the concrete business, removing molds from concrete pieces after those pieces were cast. In December 2015, the worker allegedly hurt her back while on the job. Four weeks after her injury, she filed a claim seeking workers’ compensation benefits. At the woman’s benefits hearing, a doctor testified that the woman did not suffer a workplace injury and could continue working without any restrictions. The worker’s doctor, however, asserted that an injury had taken place and that the woman needed certain restrictions. The workers’ compensation judge assigned to the woman’s case concluded that the worker hadn’t suffered a traumatic work injury, but merely sustained a back strain/sprain based on “the repetitive physical activities in her work” and had fully recovered within less than five months. The workers’ compensation judge in this case issued the ruling denying benefits on March 29, 2017. The worker appealed that decision to the Board on April 20. Pennsylvania’s workers’ compensation law says that a worker who receives an unfavorable ruling from a workers’ compensation judge must file her appeal to the Board within 20 days. That statutory deadline is based on 20 calendar days and strictly enforced. File on “Day 21” and your appeal will go nowhere. In V.S.’s case, she filed her appeal on day 22. The law is very definitive regarding what happens in these scenarios. If an appeal to the Board is filed too late, the law says that the Board does not have legal jurisdiction to hear the case. A filing on day 22 is as useful as if you filed your appeal in North Dakota. This worker proceeded without a lawyer. Procedural rules, plus the law’s rule demanding strict compliance with filing deadlines, proved to be her undoing, ultimately. Whether her appellate argument was strong or not will remain an unknown. 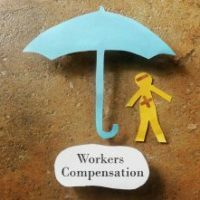 With so much at stake in your claim for workers’ compensation benefits, don’t take the risk of going it alone and getting tripped up by a procedural flaw. Consult the diligent and knowledgeable Pennsylvania workers’ compensation attorneys at Needle Law Firm. For years, our attorneys have provided the sort of detail-oriented representation you need for your workers’ compensation case. Reach out to put our ability and skill to work for you.